In May 2017, under the umbrella of the Oceans Protect Plan, the federal government introduced Bill C-48, the Oil Spill Moratorium Act, thereby delivering on the Prime Minister’s campaign promise to introduce a crude oil tanker moratorium on British Columbia’s north coast. If approved by parliament, the Bill will prohibit oil tankers carrying crude and persistent oils as cargo from stopping, loading or unloading at ports or marine installations in northern British Columbia stretching from the border with Alaska southwards to the point on British Columbia’s mainland adjacent to the northern tip of Vancouver Island, also including Haida Gwaii. 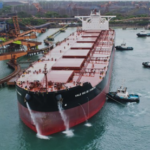 In order not to interrupt the existing supply of essential products to coastal communities and dependent industries, tankers carrying less than 12,500 metric tonnes of crude or persistent oil as cargo will continue to be permitted within the geographical scope of the moratorium. The Bill includes provisions for penalties of up to $5 million for contraventions and is currently before the Standing Committee on Transport, Infrastructure and Communities which has heard a great many submissions for and against. 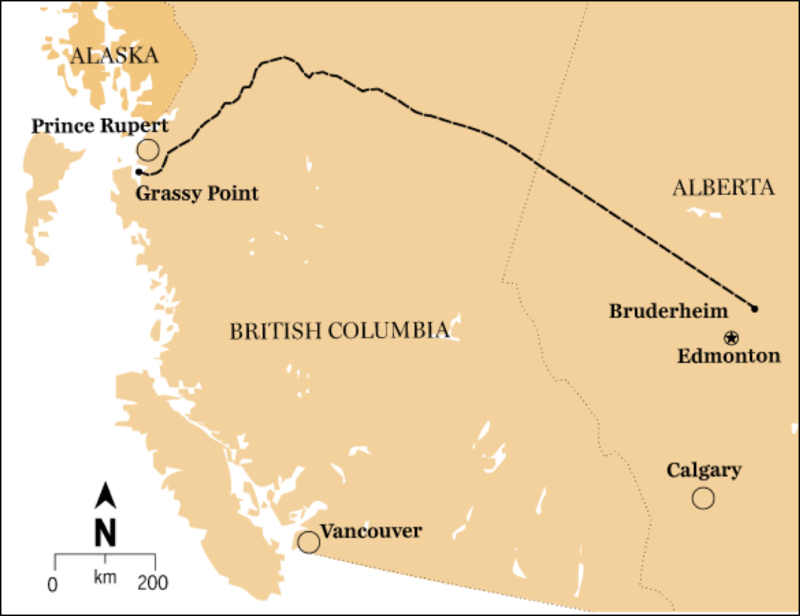 By way of background, this globally unique, tanker specific, legislation was designed to put the final nail in the coffin of the $7.9 billion Northern Gateway project to build a 1177 km, 36” diameter, pipeline to carry 525,000 barrels/day of diluted bitumen from Bruderheim, Alberta, to the Port of Kitimat in tandem with a 20” pipeline to carry natural gas condensate in the other direction. Following an exhaustive NEB review and recommendation to cabinet for approval subject to 209 conditions, the project was ultimately approved by the previous federal government, subject to meeting the described conditions. However, the project was long opposed by the current government while in opposition along with environmental groups and a number of First Nations. The difficulty of converting “approval to build” into actual construction was further compounded by a decision by the Federal Court of Appeals in June 2016 to overturn “approval to build” on the basis that the company did not fulfill its duty to consult with First Nations. Shortly afterwards, in July 2016, the NEB suspended a review of the company’s request to extend its permit for the construction of the pipeline after Northern Gateway and 31 Aboriginal Equity Partners filed an application for a three-year extension to allow time to fulfill the NEB’s conditions. While not a deal breaker, it also didn’t help that the unofficial referendum held in Kitimat in 2014 on the Northern Gateway Project resulted in a 58% majority vote against the project. At the time, Kitimat was confident of landing a number of LNG export projects which, as we now know, have not yet materialized. I share this background, purely to provide context for an alternative proposal known as the Eagle Spirit Energy Project whose history precedes the demise of Northern Gateway but which, as a consequence, has assumed a much higher profile. Formed in 2012, Eagle Spirit aims to promote its vision of a First Nations-managed energy corridor across northern B.C., carrying everything from fibre optic cables, electrical and water lines to pipelines moving LNG and up to one million barrels/day of oil. The project is comparable to the Alyeska pipeline between Alaska’s Prudhoe Bay and Valdez, built and operated with involvement from the state’s indigenous population. There is also a commitment to spend $500 million on spill prevention preparedness, including tugboats, barges and training with First Nations assuming the role of watchmen over both land and water. Chairman and President of Eagle Spirit Energy Holding Ltd. is Calvin Helin. 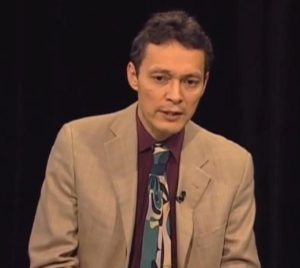 Calvin is a lawyer, businessman, author and writer on aboriginal topics who is a member of the Tsimshian First Nation in northwestern BC having originated from the Tsimshian village community of Lax Kw’alaams. Significantly, the coastal territory covered by the proposed moratorium is solely in the traditional territory of the Lax Kw’alaams, however, the Nisga’a Nation has aligned with the Lax Kw’alaams on account of Bill C-48 being seen as a violation of their own treaty with British Columbia which took effect in May 2000. For it’s part, the Haida Nation is strongly supportive of Eagle Spirit “provided it’s done right” according to Roy Jones, a Haida Gwaii hereditary Chief, when we spoke. Of note, in 2016, Calvin Helin was voted No.39 among Canada’s most powerful business people. It was therefore rewarding to speak with Calvin on the current status and prospects for the $16m project which has the support of the Aquilini Investment group and several major oil producers. Calvin sees Eagle Spirit as a demonstrable step towards First Nations in Northern BC and Alberta being allowed to determine their own future along the proposed energy corridor. He is particularly incensed by the tolerance given to the well documented groups financed by U.S. based Foundations that were behind establishing the Great Bear Rain Forest and which thus far have been successful in restricting the development of Canada’s energy sector. He is dismissive of Bill C-48 and thoughtfully points to the fact that while U.S. based interests are working full time to strangle the Canadian energy sector, the U.S. itself has exponentially expanded the production and export of oil over the past five years while also rapidly becoming one of the world’s largest exporters of LNG. 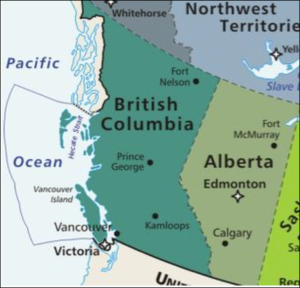 Calvin also points to the 2014 decision in the Supreme Court of Canada (Tsilhqot’in Nation v. British Columbia) whereby the limitations of governmental power over lands encumbered by Aboriginal title were clearly defined. A further concern, and one which we must assume that decision takers are treating seriously, is a report prepared by the U.S. House of Representatives Committee on Science, Space and Technology which was made public on March 1. The report alleges that Russia has gone well beyond election meddling and is now targeting the North American energy sector and related environmental policy through social media platforms. In addition to inciting fear over pipeline projects and oil spills, Russia has been aggressively targeting the proposed Keystone XL Pipeline, even going so far as to promote the abandonment of fossil fuels in favour of alternative energy sources. All this at a time when Russia is desperately leveraging its own oil and gas industry to support an otherwise moribund economy. A Financial Post report on this topic, copied by the Vancouver Sun on March 3, makes for thoughtful reading. Frustrated by the government’s apparent determination to push ahead with the moratorium, in January this year, a 35 First Nations Chiefs Council representing 30 First Nations from Alberta to the B.C. 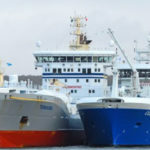 Coast announced that it will sue the federal government on the grounds of an absence of consultation but also citing the 1978, then Federal Environment and Fisheries department, report which concluded that on every measure, the northern ports now to be captured by the moratorium, represent the least risk for tanker traffic. Of note, Grassy Point just to the north of Prince Rupert would be Eagle Spirit’s preferred site for construction of a marine terminal and refinery. Seriousness of purpose was further demonstrated with the recent launch of a GoFundMe campaign with the objective of raising $1 million to fight the moratorium through to the Supreme Court of Canada if need be. 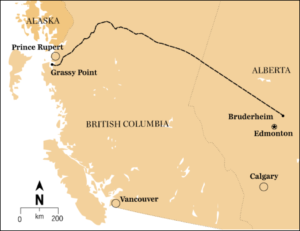 “The said action by Canada was taken in the knowledge that a plan had been developed for an energy corridor from Bruderheim, Alberta, to Grassy Point near Lax Kw’alaams and that this plan had received social license from all the First Nations along the proposed route. The said action by Canada was therefore taken deliberately to thwart this plan and the ability of the plaintiffs to create economic support for their community based on the development of an oil export facility”. However, project proponents are leaving nothing to chance should it become necessary to circumvent a moratorium. 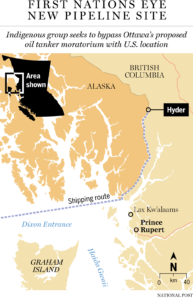 In January this year, the project entered into an MOU with Roanan Corp., a prominent private Alaskan landowner, to relocate from Grassy Point to a site just 25 kilometers over the U.S. border in the old gold rush town of Hyder. The site can be accessed via the disputed waters of Dixon Entrance (claimed by both Canada and the United States) and the Portland Canal. There is undoubtedly strong First Nations enthusiasm for the project with some 90% of partners along the pipeline route having declared support but there is also opposition. Of note, U.S. Foundations financially supported Tides Canada, Coastal First Nations and a plethora of ENGOs continue to pull every lever in opposition to all Canadian energy development proposals, the most recent casualty being TransCanada’s, $16 billion, Energy East project which would have carried more than one million barrels of oil per day from Alberta and Saskatchewan across the country to be refined or exported from facilities in New Brunswick and Quebec. This, despite the fact that two-thirds of the pipeline is already in existence and would merely have required conversion from gas to oil. 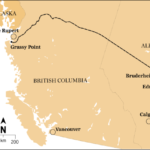 It might also be noted that in 2012, Transport Canada conducted a TERMPOL safety review of the marine transportation components of the Northern Gateway Project involving the export of diluted bitumen from the Port of Kitimat. The scope of the review was to determine whether the project could be executed within acceptable risk levels that were consistent with Canada’s regulatory regime, safety standards and industry best practices. The review has not identified any regulatory issues or gaps or the need to consider any new regulatory requirements at this time. The existing international and Canadian marine laws and regulations, complemented by the enhanced safety measures the proponent is committed to implementing and monitoring will provide for safer shipping in support of the Northern Gateway Project. 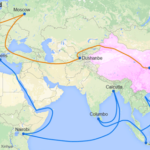 The proposed shipping routes are appropriate for the oil tankers that will be used at the proposed terminal. 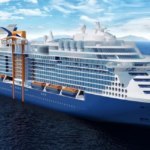 The proposed moratorium therefore appears set to overlook the advice of the professional marine industry, including those of the International Chamber of Shipping, but also the advice of the very public servants charged with responsibility for marine safety across Canada. We know of no precedent. We might also consider the words of Jonathan Wilkinson, Member of Parliament for North Vancouver in the March 16 edition of the North Shore News when referring to Kinder Morgan’s Transmountain Project. “A number of advocacy organizations have made the claim that the TransMountain expansion would make an oil spill in the Pacific Ocean all but inevitable, and all but guaranteed, but have offered little to substantiate these claims. That’s why objective risk analysis is so critical here – the kind of clear-headed assessment that cuts through the social media distortion that is shaping the reality of some on this issue”. Perhaps there is still time “for a clear-headed assessment” when it comes to Bill C-48.